Here’s some Star Trek news I can get behind and fully approve of. And I haven’t approved of much when it comes to the new rebooted Star Trek movies. 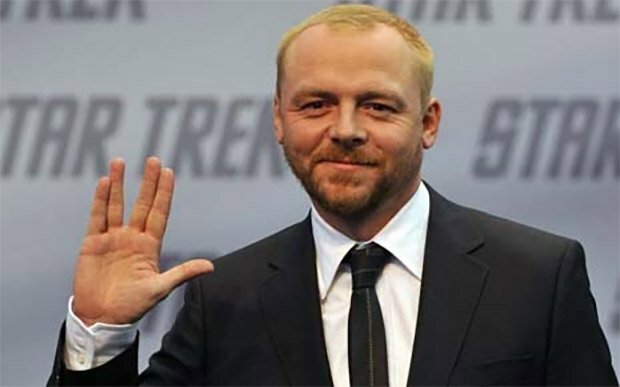 The man who plays the Enterprise’s chief engineer, Simon Pegg, will co-write the next Star Trek film wth Doug Jung. Roberto Orci, who was slated to both direct and write the film was bumped back to producer, and Fast & Furious’ Justin Lin in the director’s chair. Simon Pegg gives me some confidence since thus far this reboot series has been handled by people who don’t understand Star Trek and are clearly not fans. Pegg is an actual geek and has plenty of writing experience, with films like Shaun of the Dead, Hot Fuzz and The World’s End to his credit. Fingers crossed that we get something halfway decent this time. Although at this point, I don’t even care what happens in this franchise in it’s current state. The release date is still set for July 2016, so they all have their work cut out for them.